The Philippine Golf Tour Asia ushers in its third season tomorrow (Monday) with a power-packed cast from at least 19 countries gearing up for four days of battle of shotmaking and wits in the $100,000 event at the Luisita Golf and Country Club in Tarlac. 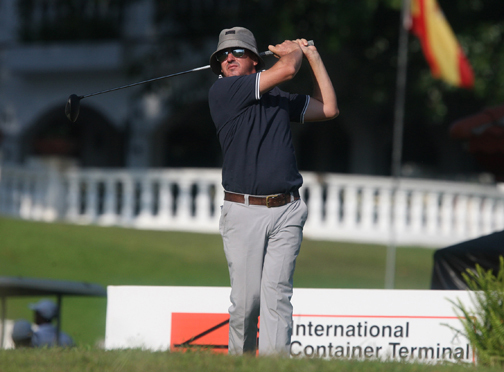 Aussie David Gleeson outlasted Filipino Erwin Arcillas on the third playoff hole to snare the crown last year with the same ending expected on Thursday given the depth of the field with the wind and the heat expected to add up to the various challenges offered by the tight layout. Newly crowned Solaire Philippine Open champion and 2018 PGTA Order of Merit winner Clyde Mondilla banners the elite cast that also includes Thais Tawan Phongpun and Ratchapol Jantavara, Singapore’s Choo Tze Huang and Gregory Foo, Swede Sebastian Hansson, Rory Hie of Indonesia, Scot Ryan Hood, Hwang Myung Chal of Japan, Grant Jackson of England, Spain’s Marcos Pastor and Americans Lexus Keoninh, Charles Lee and Micah Shin. 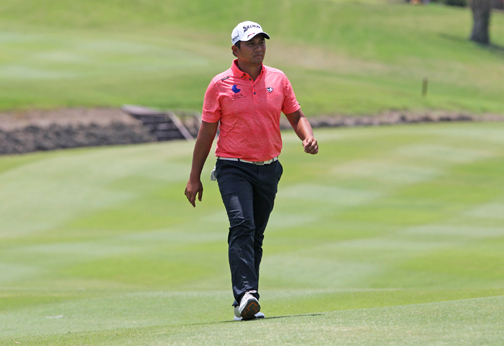 Phongpun and Jantavara are actually coming into the 72-hole championship put up by ICTSI brimming with confidence after sharing top honors in the PGT Asia Qualifying Tournament last Friday also held at the Robert Trent Jones Sr.-designed course. But the locals are also ready to take on the best from the foreign contingent with last year’s PGT OOM winner Jobim Carlos out to atone for his abbreviated stint in the Phl Open where he withdrew after the first round due to injury. Mondilla bucked the odds at the tough The Country Club layout and bested a talent-laden field to become the 18th Filipino and third from Del Monte to win the country’s premier championship and Asia’s oldest National Open. But the 116-player field is teeming with talent, including those seeking redemption from the Phl Open debacle, including Asia’s former No. 1 and recent PGT Asia Riviera leg champion Juvic Pagunsan, four-time PGT Asia leg winner Jhonnel Ababa, veteran Elmer Salvador, multi-titled Tony Lascuña, PGT Asia leg titlist Joenard Rates and Gleeson, who all missed the cut in the Phl Open, which closed out the second season of the region’s newest circuit organized by Pilipinas Golf Tournaments, Inc. Meanwhile, Mondilla plus a select group of pros test the challenging hazard-laden layout in today’s (Sunday) pro-am where they will be paired with guests and officials of the event’s chief backers, including ICTSI, , PLDT Enterprise, Meralco, BDO and PGT Asia official apparel Pin High.